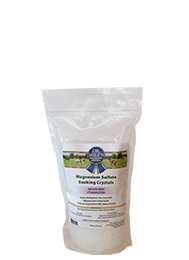 After a long hard day of work or training, dogs often enjoy a warm relaxing bath with Dr. Milt’s Magnesium Sulfate Crystals. We recognize this as a method to relax and rejuvenate tired sore muscles, sprains and strains. This actually is a form of therapeutic mineral hydrotherapy. 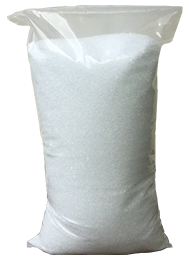 Dr. Milt’s Magnesium Sulfate Crystals are a very powerful remedy that helps to draw toxins and metabolic wastes e.g. lactic acid through the pores in the skin. The significant reduction in toxicity coupled with the warmth of the water relaxes the muscles of the body, enhances blood flow to surrounding tissues and helps to foster overall composure to your horse. Blood flow is the life force of the equine system as it brings oxygen and nutrients to the cells and removes wastes and carbon dioxide. 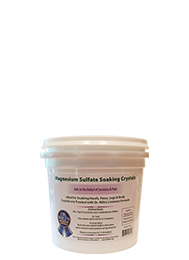 Dr. Milt’s Magnesium Sulfate Crystal bathing will help restore your dog’s muscles in a soothing manner. This therapeutic mineral therapy helps to ensure that tendon and muscle tissue restore themselves in an efficient, life preserving and strengthening way. Dogs naturally like and benefit immensely from this simple act of leisure and pleasurable rub down. Dr. Milt’s therapeutic crystals can also be used as a foot or leg soak. Simply add 1 Cup of crystals per 4-5 gallons of cool or warm water and let your dog stand for 10-20 minutes. Dogs care for the soothing relief this process offers to their feet and legs, and the gentle aroma of spearmint being emitted from the soak. 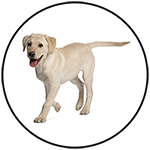 Give them all a try to maximize the benefits to your dogs and other pets.